It took me a couple half-hearted tries at reading Chris Claremont’s 16 year run on Uncanny X-Men before I realized I was missing something absolutely crucial. I’d pick up the comics, excited about a Doctor Doom or Arcade cover, only to realize there were pieces of this narrative that escaped me. As I’d come to learn, more often than not, these pieces are included in Uncanny X-Men’s sister narrative, The New Mutants. I think because the New Mutants have had a substantially less prominent modern comics role I just assumed the characters were relatively boring. While New Mutants certainly takes a gentlemen’s dozen or so issues to find its footing, once Claremont teams with avant garde artist Bill Sienkiewicz, New Mutants suddenly takes off as one of the best Marvel Comics of the 1980’s. It’s within the pages of New Mutants that the likes of Legion (aka David Haller, and new star of FX Legion) makes his stunning debut. These comics will also help you understand the arcs of Roberto DeCosta, Sam Guthrie, Dani Moonstar, and many more. Below you’ll find a complete chronological reading timeline for the New Mutants. As always, let me know your thoughts in the comments, and as always, enjoy the comics! After several years and approximately 75 issues of Uncanny X-Men, Chris Claremont decided to expand the mutant universe with a new younger squad under the wing of Professor X. The New Mutants got their start, and origins explained, in Marvel Graphic Novel #4. Marvel’s graphic novel series really took off in the early 80’s, with New Mutants joining in continuity classics like Death of Captain Marvel and X-Men: God Loves, Man Kills. 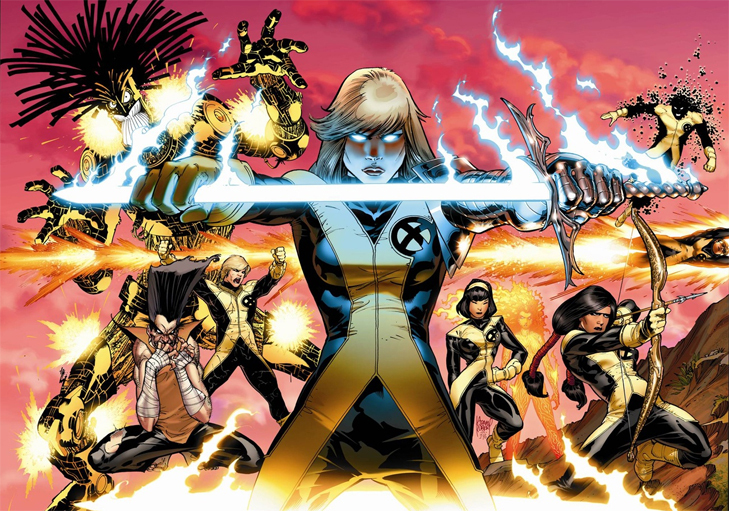 Following the graphic novel, the New Mutants starred in their own ongoing saga. It’s very much worth noting that from this point forward, Claremont’s New Mutants and Uncanny X-Men frequently intertwine. Claremont and the New Mutants are very much finding their footing through these early issues, starring a core unit of Sunspot (Robert De Costa), Cannonball (Sam Guthrie), Magma, Dani Moonstar, Karma, and Wolfsbane (Rahne Sinclair). New Mutants #18 to #20 constitues the Demon Bear saga, which is the most well known story and the point when New Mutants really ascends to greatness. Much of this is due to Bill Sienkiewicz’s highly stylized art creating a wholly unique look and feel for Dani Moonstar’s worst nightmare come to life. If you love Demon Bear specifically, this collection includes both the original Demon Bear saga, and future appearances of the nightmare antagonist. Claremont and Sienkiewicz continue their prolific partnership, this time with an exploration of Legion’s psyche and his strange connection to Professor Xavier. If I’m being honest, I like these issues even more than Demon Bear. New Mutants also continues to expand the roster at this stage, with major developments for Illyana Rasputin, Doug Ramsey, and Warlock! The New Mutants have had a long and surprising connection to Asgard, and all it all starts here with extended stories set inside the hallowed halls. The first dive into Loki’s villainous plans for the New Mutants, and Dani Moonstar’s transformation as a Valkyrie. Get used to Magneto, headmaster of the Xavier Institute and struggling leader of the New Mutants! 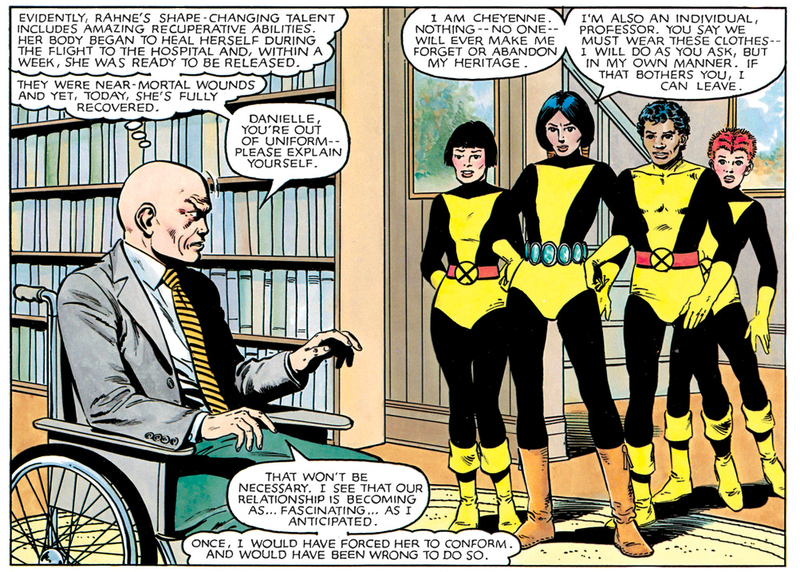 These issues of New Mutants also tie in to the first of annual X-Men events, the Mutant Massacre. 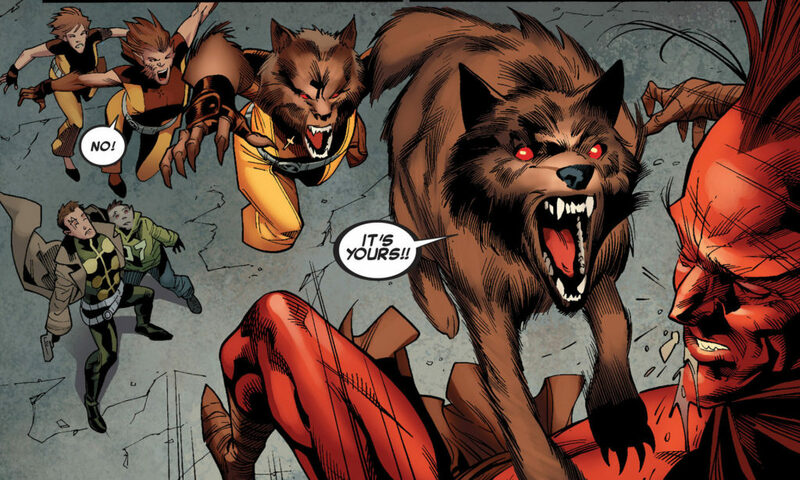 Issues #59 to #61 of New Mutants are “Fall of the Mutants” tie-ins with major changes for the team moving forward. I recommend reading after Uncanny X-Men #227. Marvel’s Inferno event impacts the entire Marvel Universe, with New Mutant Illyana Rasputin, aka Magik, right at the center. The Louise Simonson era of New Mutants begins transitioning to the 90’s here, with Rob Liefeld on art and the introduction of Cable! Cable officially converts the New Mutants into his own military task force named X-Force. Technically speaking many members of the New Mutants are a part of X-Force from here forward, although I’d absolutely stop considering them “New Mutants” at this point. 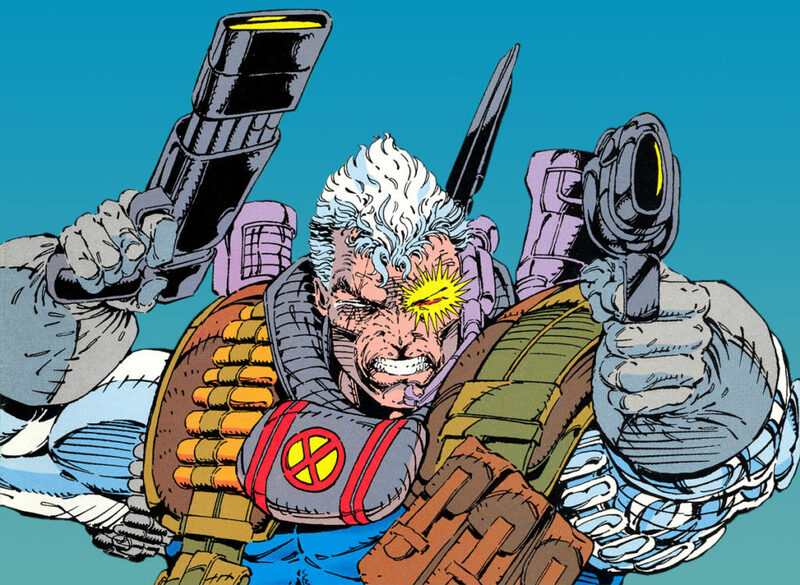 If you’re looking for the rest of the X-Force comics of the 90’s, I recommend Comic Book Herald’s complete Cable reading order. Short-lived 2003 to 2004 New Mutants series that launched in the shadow of Grant Morrison and Frank Quitely’s ongoing New X-Men. Once Morrison’s New X-Men ends, the title relaunched into a version more closely tied to this arc of New Mutants. New Mutants morphs into the X-school book it was always meant to be. X-Factor by Peter David is well worth a read for any X-fan, but for New Mutants, you can find the progression of Rahne Sinclair (aka Wolfsbane) in these comics. X-Factor runs for approximately a zillion issues, but it all begins here. Sweet, innocent, little Rahne Sinclair joins Wolverine’s band of black-ops killers in X-Force! Long overdue relaunch of the New Mutants title, which would run for over 50 issues from 2009 to 2012. The opening arc stars FX’s own Legion, with writing by Zeb Wells. Tied into the X-Men: Necrosha event, with the return of some long time New Mutants. Guardians of the Galaxy creative collaborators Dan Abnett and Andy Lanning take over New Mutants for the remainder of the run, until Chris Claremont returns. Part of the Fear Itself reading order. These issues are part of X-Men Regenesis as the X-Men universe realigns post Schism. Collects: New Mutants (2009) #38-41. The New Mutants long history with Asgard returns here during this Exiled crossover with Kieron Gillen’s Journey into Mystery, starring Kid Loki! Hickman and Manhattan projects partner Nick Pitarra with a Sam and Bobby story. 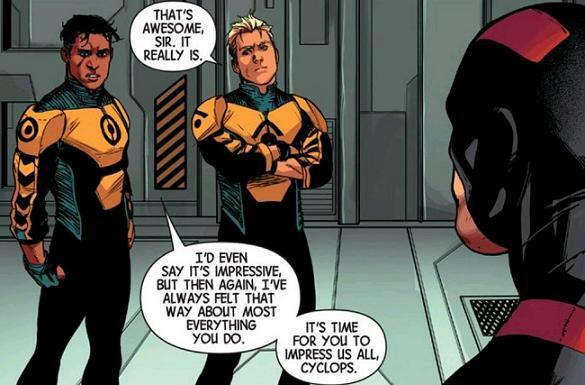 During Marvel NOW!, perennial New Mutants Sunspot and Cannonball are made Avengers. Bobby and Sam are recurring characters througout, with surprisingly important roles to play in the build to 2015’s Secret Wars. As you’d expect, this is more Avengers related than anything, but New Mutants die hards can enjoy the adventures of Sam and Bobby here. Peter David’s relaunched All-New X-Factor, starring Doug Ramsey and Warlock! Ties in to Marvel’s 2014 Axis event. Avengers World is largely fill-in and flashbacks for the core Avengers saga, but there’s a key focus on our New Mutants here that helps evolve Sam and Bobby’s story prior to Secret Wars. Bobby DeCosta continues his rise in the Marvel Universe as the owner and head of Marvel’s All-New All-Different A.I.M. With tie-in issues to Avengers Standoff. Part of the Civil War 2 reading order. any chance there is a TPB for the New Mutants Vol. 2 issues #7-13?